Two Chinese teachers were kidnapped from the Jinnah Town area of the provincial capital of Balochistan on Wednesday afternoon while another Chinese national reportedly escaped the abduction. Some unidentified abductors had forced the two foreigners into a vehicle at gunpoint and driven away, according to the police. A passerby was injured after one of the abductors opened fire during the abduction. “We collected evidence from the spot and efforts are underway to recover the Chinese nationals unhurt,” said Aitzaz Goraya, the acting deputy inspector general of police. The Chinese nationals were on their way to the Jinnah Town, where many offices of the non-government organisations (NGO) are based. 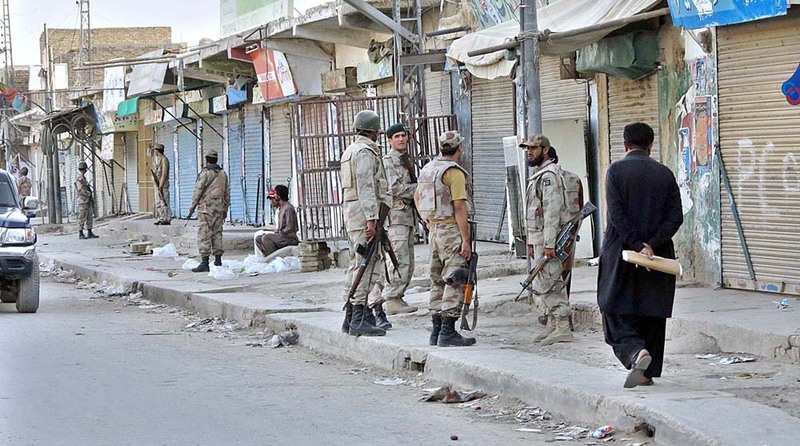 Balochistan government spokesperson Anwarul Haq Kakar said that the men pretending to be ‘police officers’ kidnapped the Chinese teachers and wounded a passerby who tried to stop them. “A Chinese couple has been kidnapped,” he confirmed. He said that officials had earlier mistaken the wounded passerby for a security guard. “The passerby inquired why they were doing this and they said they were from a law enforcement agency, but when he asked for their identification cards, they shot him,” he said. “I was walking on the road when I saw three men forcing a Chinese woman in a white car and she was refusing and crying, I stopped to observe the situation but they had forced the woman in the car by then and were pushing the man,” said Muhammad Zahir, the passer-by who got injured. China’s state media also confirmed the kidnappings, while deputy chief of mission in Islamabad Lijian Zhao said that the embassy was working towards their release. Quetta police chief Razzaq Cheema said another Chinese woman narrowly evaded the kidnappers outside a language centre in the Jinnah town. He said that the armed men took the couple into custody at gunpoint when they were coming out from the centre. Balochistan Chief Minister Sanaullah Zehri strongly condemned the kidnapping of the foreign nationals, and ordered the Inspector General Police to take all measures for recovery of abductees as soon as possible. He directed the authorities that a standard operating procedure (SOP) be designed for ensuring the safety and security for all the foreigners working in the province. In Balochistan, the Chinese interest has spiked in recent years after the announcement of the China-Pakistan Economic Corridor (CPEC) to connect Pakistan’s ports to mainland China.